Play as man. Play as Kong. Embark on an epic adventure created in collaboration with Academy Award-winning director Peter Jackson and based on the Universal Pictures' film. Survive as Jack in a world crawling with predators and live the legend as Kong. Use weapons, traps and your team wisely to survive in first-person as Jack. Break jaws, slam enemies and throw massive objects in Kong's third-person battles. 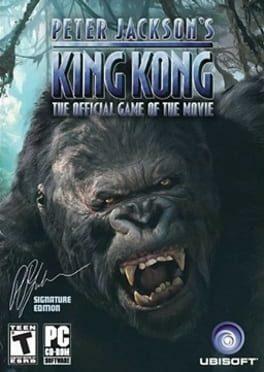 Peter Jackson's King Kong: The Official Game of the Movie is available from 9.99 to 9.99 from 1 shops.